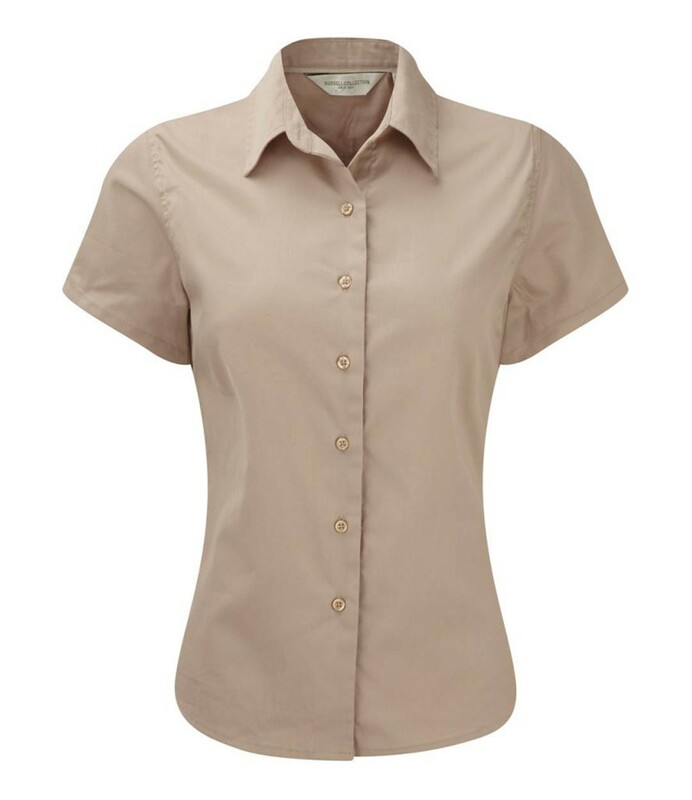 A ladies cotton twill short sleeved shirt ideal for the summer. 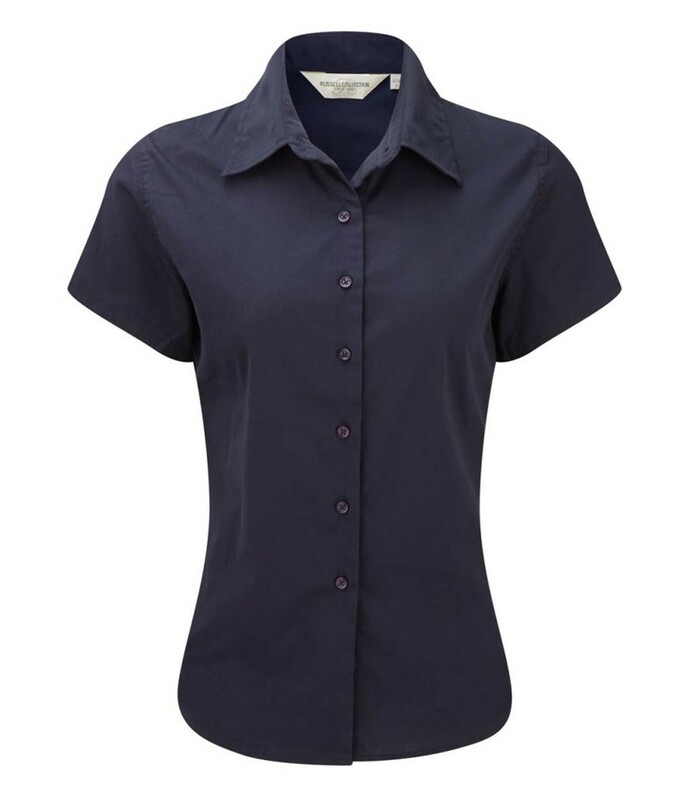 The Russell Collection 917F Ladies Short Sleeve Classic Twill Shirt in 100% cotton twill. Relaxed collar. Matching herringbone tape along neck seam. Slightly tailored fit. Matching buttons. Fabric patch on back yoke and side seam hem. Curved hem. 130 gsm fabric. The Russell Collection 917F Ladies Short Sleeve Classic Twill Shirt is machine washable.